I have been working in International Admissions at Johnson & Wales University for nearly a decade now and my passion for international education and student service has only grown. 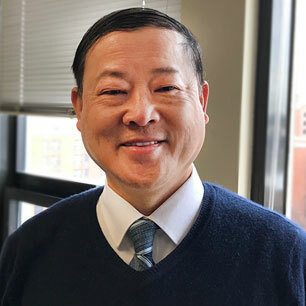 As a Chinese American with a variety of both university and business experience in the U.S. and China, I embrace cultural diversity and global engagement to welcome our international students near and far to pursue academic and career goals in a warm, motivating and supportive learning environment on campus. I am excited to meet you, answer your questions and discuss your future education plans in your country, on campus or via e-mail. I truly enjoy meeting our inspiring students and showing them our beautiful campus and friendly faculty and staff members.